Last week I had an opportunity to photograph a Red Hawk Pow Pow in upstate NY. I left the festival pumped up and couldn't wait to do a Native American inspired session. On the 4 hour drive back to NYC I started planning process in my head. 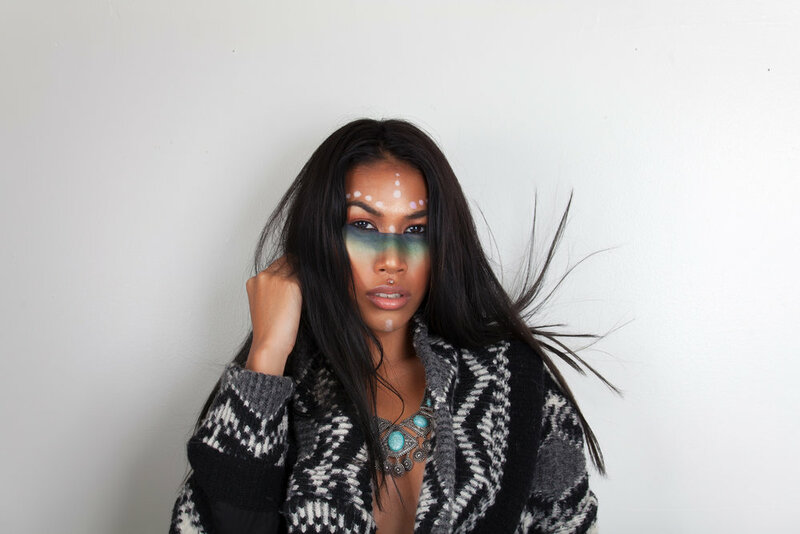 I had to find a model, settle on looks, book a MUA and acquire native American/tribal accessories. Two days later Lihwati contacted me. I guess the saying is right when you're ready it/they will come. This is 1 of the 4 looks we did with Lihwati.